Introducing.....Mandy - She's a stay at home mom of the most adorable three year old twin girls, She loves doing crafts and making wonderful memories with her girls and that's what makes her a great Mom That Blogs. 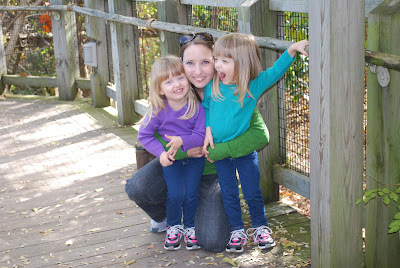 Tell us a bit about yourself.......I'm mama to three year-old twin girls, A and B, and wife to a soccer nut. Our sweet kitty Sasha rarely shows her snow white tail unless the girls are sleeping. I left my job when my girls were born, and while part of me misses putting on my game face every day, I am so thankful to have this time at home with my kiddos. Tell us 3 fun facts we might be surprised to learn about you......Before my girls were born, I worked in the field of marketing. I managed several different brands, starting with the likes of bacon and smoked sausage...then pantyhose and socks...and culminating with underwear. I wasn't exactly changing the world, but I can tell you all about hickory smoke and elastic waistbands. It bugs me when people misspell my name, usually with an "i" instead of a "y". I used to say that was my evil twin's name, but since having twins, I've quit using that term. I am from the great state of Alabama, which I affectionately refer to as "God's Country". I haven't lived there since I finished school, and I'm OK with that, but there's nothing like going "home" for a visit. When did you first start blogging......I started blogging on my girls' first birthday, two years ago. I had a couple of friends with blogs, and I loved seeing their pictures and hearing their stories. While I had been keeping a journal and a scrapbook, I wanted to be able to share our adventures with our friends and family. 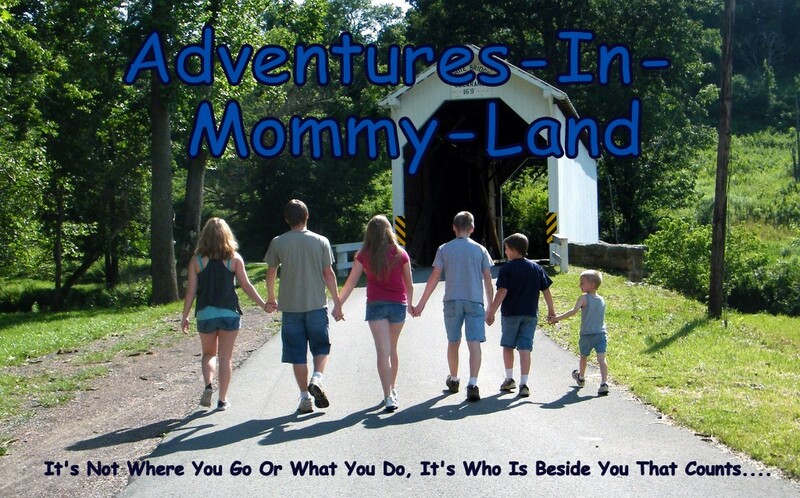 What is your blog about.......My blog is primarily about my journey through parenthood. I write about what's going on with our girls, and how I'm juggling it (or not!). I try to do it in a broad way, though...my hope is that it's interesting to people who don't know me, too. Why do you blog......I take a lot of pictures and I keep a journal in order to keep a record of our girls' lives. The blog encourages me to step back and reflect on that, what we're doing, and how I'm feeling. I have also "met" so many wonderful people through blogging, and that community has become really important to me. What are your must read blogs......I mostly read "Mommy blogs" (although I understand most folks don't like that term!). They make me think...they make me laugh...and they remind me I'm not alone in feeling like a hamster on a never-ending wheel of laundry and dishes. I actually have quite a few "must read" blogs -- including Charlene with all of her fantastic ideas, of course! Unexplained x2 makes me laugh! Pontifications of a Twin Mom makes me think! The 123 Blog inspires me! MaMe Musings does all of the above! I also read a couple of cooking blogs, and I've recently begun reading some preschool-oriented / learning blogs. What inspires you......I am definitely inspired by other moms! I love seeing what other families are doing...sharing their joys, and learning from their challenges...and all the awesome things people do with their kiddos. And it has occurred to me, particularly since my girls are a bit older and they are really taking in the world around them, I am inspired to try to be a better person because of them. If I can approach the world the way I would want my girls to...with enthusiasm and respect...then I know I'm heading in the right direction. Do you have a bucket list......I don't have a written bucket list, but there is a lot of traveling I hope to do. I expect our first "big" trip as a family (covering more than a couple of time zones) will be to Hawaii. I have my sights set to go there to celebrate our 20th wedding anniversary, when our girls will be 10. Oh, and I want to own a convertible one day! Do you have any blogging advice that you would like to share......Be yourself and have fun! I see sometimes where bloggers feel the need to "take a break", feeling as if their blog has become another "to-do" on a very long list. I haven't gotten to that point, and I hope I never do. Ultimately I blog for me...sometimes it's every day, and sometimes just once or twice a week. I try to write what comes naturally, and just enjoy it. Thank you, Charlene, for the opportunity to share my little corner of the world! Also, check out her facebook page. Mandy, thanks for saying I inspire you - that is HUGE praise and I have a big smile on my face right now. I adore Mandy! She's so inspiring and encouraging! I didn't realize she used to work in marketing!! Thanks to Mandy I am over here. Great to find this new bit of inspirational log reading.